block of a declarative pipeline. [JENKINS-34617] Add a @symbol for "extendedChoice"
@rodrigc would be a great feature to add that has been missing from declarative pipelines (AFAIK). Happy for someone to tell me if such functionality exists elsewhere to extend this lack of functionality in choice() parameter. I wonder when this functionality will be available for the wide public? @oleg-nenashev I wonder how the PR gets accepted in this organization? We do really need this feature in the wide public! @zentavr PRs are being accepted and released by the plugin maintainers. 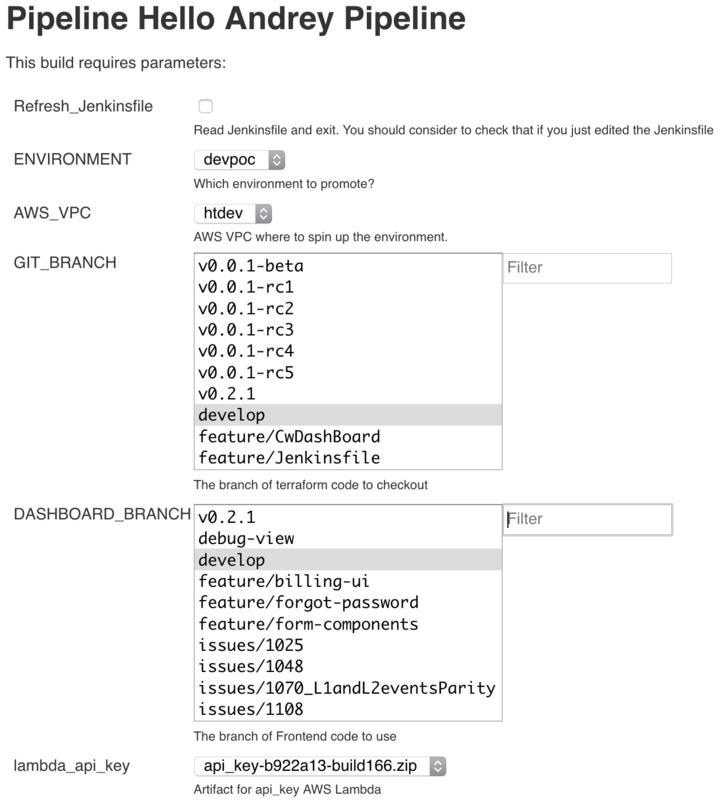 If there is no active plugin maintainers, there is an adoption process: https://wiki.jenkins.io/display/JENKINS/Adopt+a+Plugin . If anyone is interested to get this fix out of the door, please feel free to request ownership of the plugin. I forked this repo and did a build with this patch here. Testing that locally now. I've been waiting for this for a while hope it gets merged soon, I will use the patch for now Thanks!!! Looks like Jenkins doesnt support this function yet.? @dilipdesing - you can try the compiled version. Use my link above. @vimil - do we expect a new build soon? yes I have released version 0.78 which has the requested changes. My email in github was outdated which is why I couldn't respond sooner. @vimil If possible please update your contact email in GitHub to one that is accurate.